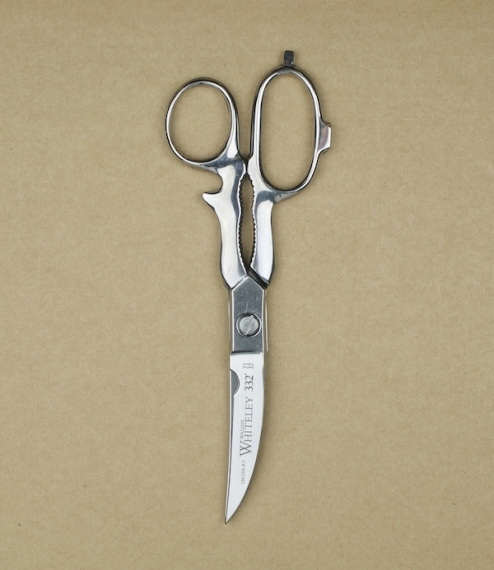 4.5 inch chrome plated hot forged carbon steel sprung looped threadclips. 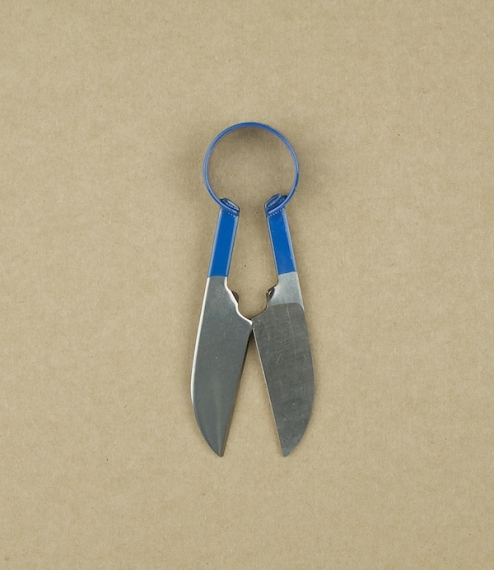 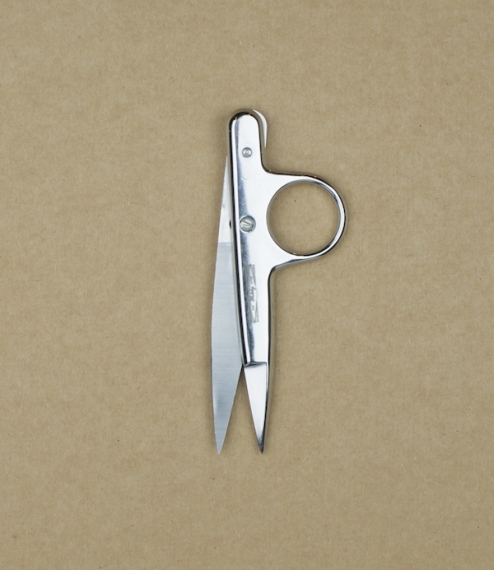 Designed to hang from the finger whilst sewing allowing for regular and easy use. 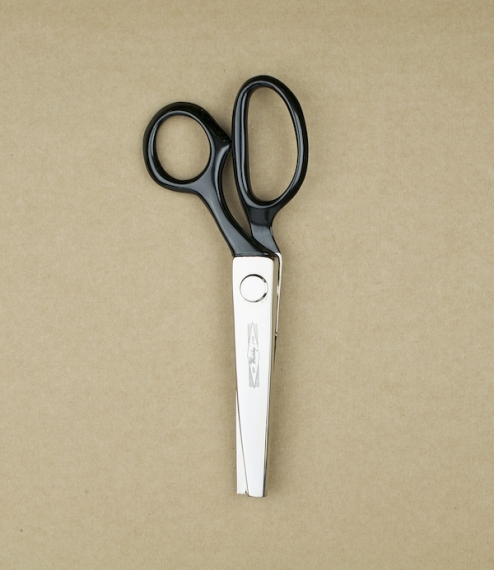 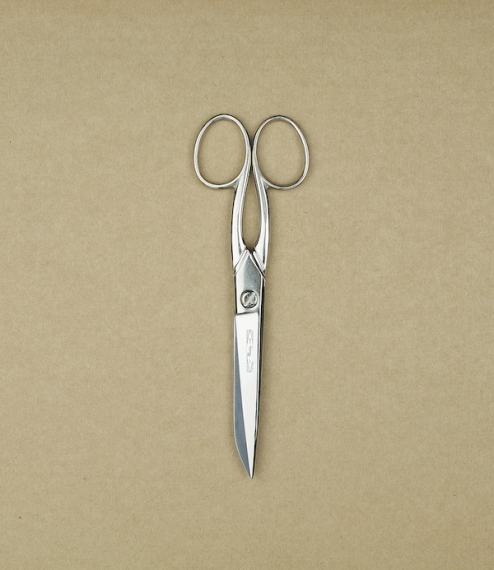 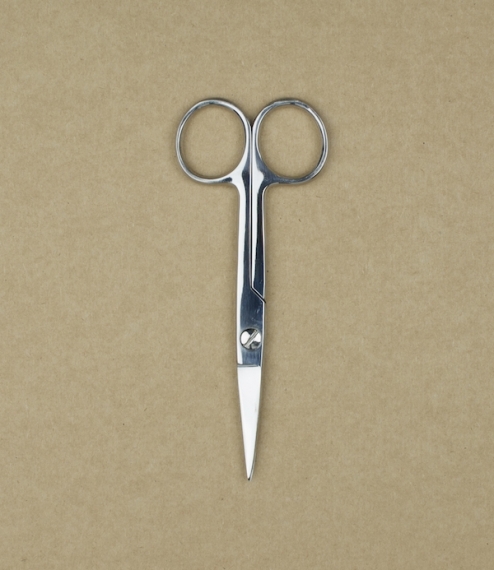 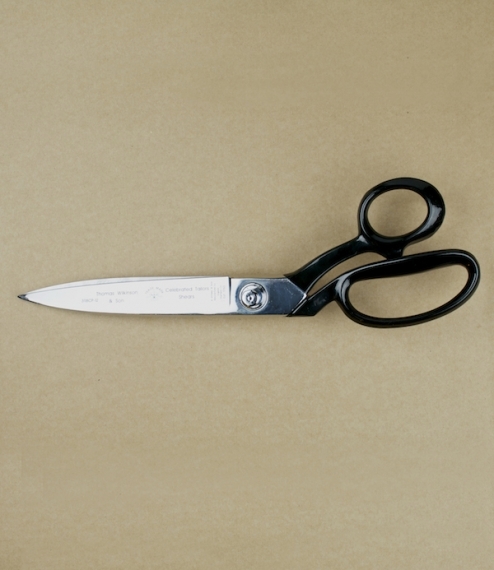 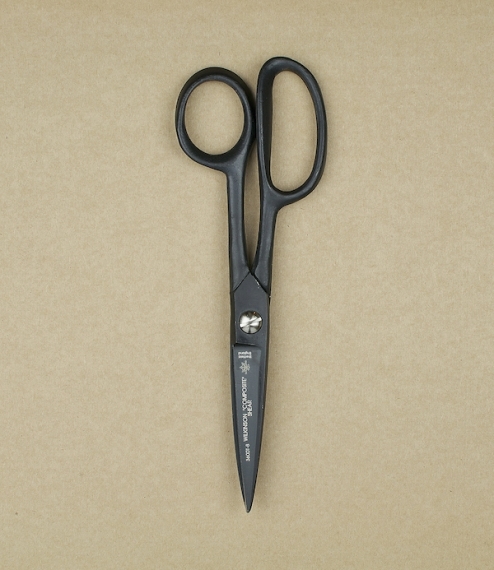 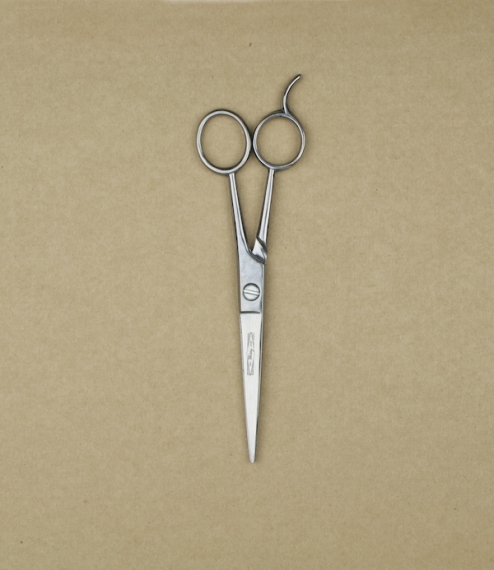 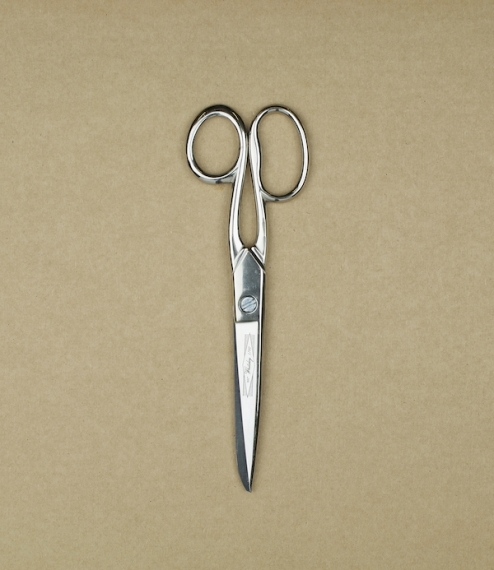 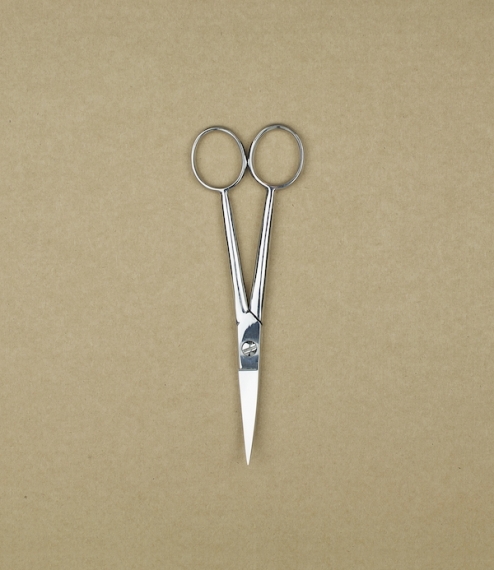 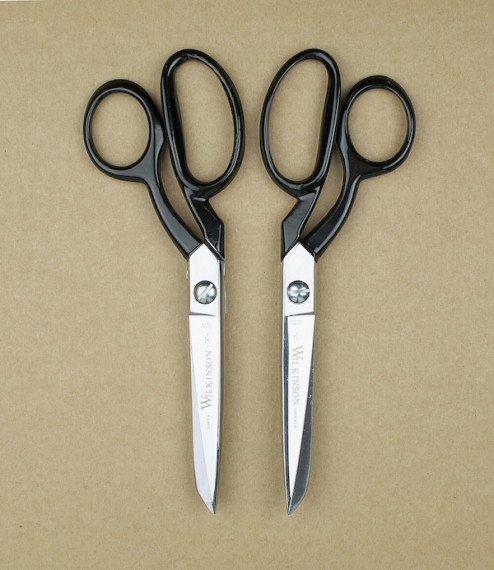 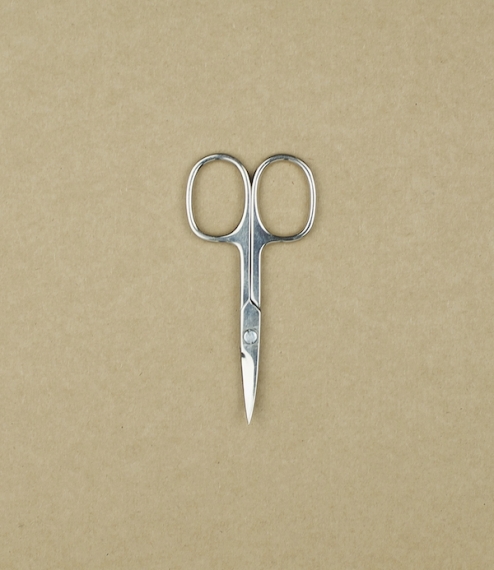 Made in Sheffield by the firm of William Whiteley & Sons, tailor's shear and scissor makers since at least 1760 and generally recognised as one of Europe's, if not the world's longest established scissor manufacturers.